Antique demantoid garnet and pearl brooch. Product code: 1669 Categories: Sold Items, Sold Jewellery. Demantoid garnets are the rarest of all the garnets, and come in a terrific green colour. This antique brooch made in 15ct rose gold is set with 5 pearls and 5 demantoid garnets and is as beautiful as it is rare. 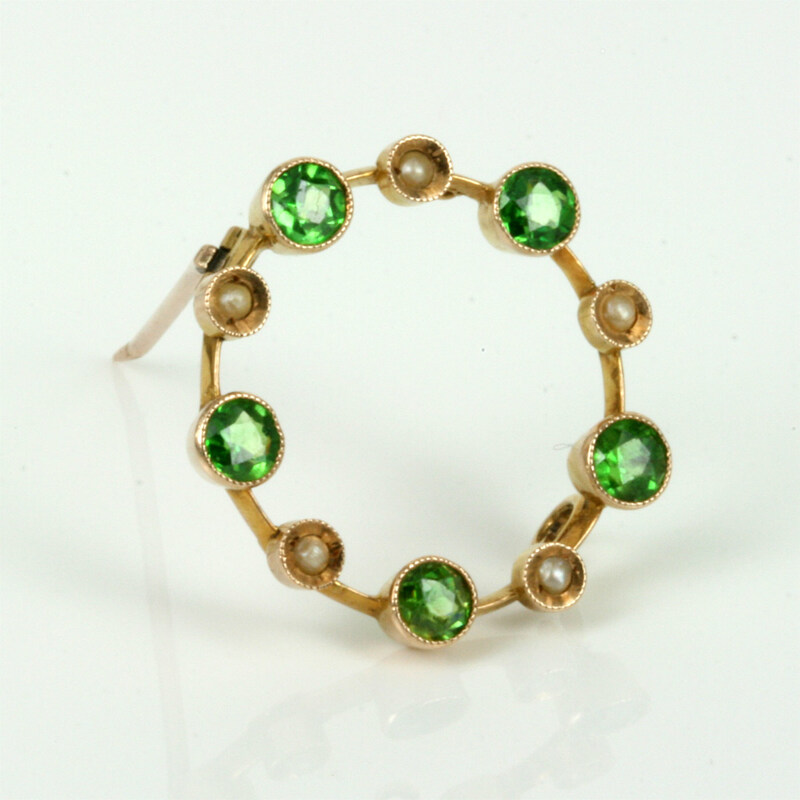 There is always high demand for demantoid garnets in antique jewellery, and this antique brooch is just perfect.